Make no mistake, choosing the right florist makes all the difference. 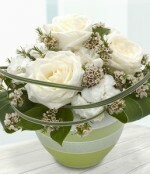 And if you want to achieve same day delivery in Skerton none are better qualified than the team at Floral Artistry. With fresh flower deliveries arriving daily from the local markets and local flower growers we always have a wonderful selection of flowers. For Birthday flowers to Skerton or anniversary flowers - flowers for any occasion - be assured Floral Artistry are best placed to deliver fresh flowers daily. 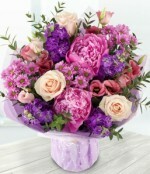 For same day flowers delivered to Skerton please ensure your order is placed with us before 2pm local time. Below is a selection of flowers that can be delivered the same day in Skerton if ordered by 2.00pm (depending on stock levels). 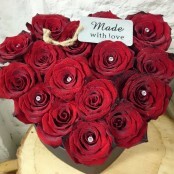 We can also deliver flowers the same day in the following areas Lancaster, Ridge, Abraham Heights, Scale Hall, Aldcliffe, Scotforth, Bailrigg, White Lund, Stodday, Heaton, Torrisholme, Bare, Slyne, Quernmore, Halton, West End, Hest Bank, Ellel, Overton, Halton Green, Morecambe, Sandylands, Bolton Town End, Middleton, Glasson, Galgate, Conder Green, Heysham, Caton, Bolton-le-sands, Brookhouse, Hampson Green, Smith Green, Nether Kellet, Caton Green, Crossgill, Bay Horse, Five Lane Ends, Dolphinholme, Carnforth, Crag Bank, Over Kellet, Potters Brook, Cockerham, Claughton-nr-wray, Forton, Hollins Lane, Warton, Abbeystead, Farleton, Capernwray, Sand Side, Gressingham, Hornby, Borwick, Tewitfield, Yealand Conyers, Scorton, Silverdale and many more. 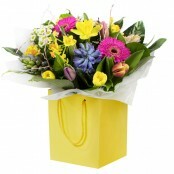 Please call us on 01524849000 to see if we can deliver flowers in your area. 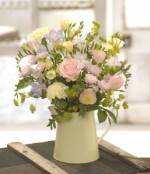 A friendly professional florist based in Lancaster. We are passionate about flowers and deliver fantastic floral arrangements and cater for all occasions and requirements, on every delivery.